The "home of the pool party." Ibiza Rocks Hotel has been around for over 10 years, proving that the island offers more than superstar DJs and monster clubbing. With scores of daytime poolside parties and events, it has come to be known as the "home of the pool party." Long ago, Bar M (which is now the Ibiza Rocks Bar on the promenade of San Antonio) was the main live music venue for Ibiza Rocks, but such was the success of the party that a new location was needed. Enter stage left, Ibiza Rocks Hotel. This branded hotel on the site of the former Hotel Club Paraiso now plays home to all the Ibiza Rocks events. It includes a purpose built and permanent stage set up, located within the hotel's central courtyard, including a pool area that has become the scene of some memorable moments during and after gigs, when the crowd splashes around and even the artist sometimes take an impromptu dip. In 2018, the venue underwent a refurbishment that added a brand new 360-degree performance space, VIP areas including a party suite, upgraded bars with faster service and a spanking new VOID sound system. Ibiza Rocks Hotel is now involved in the electronica scene. 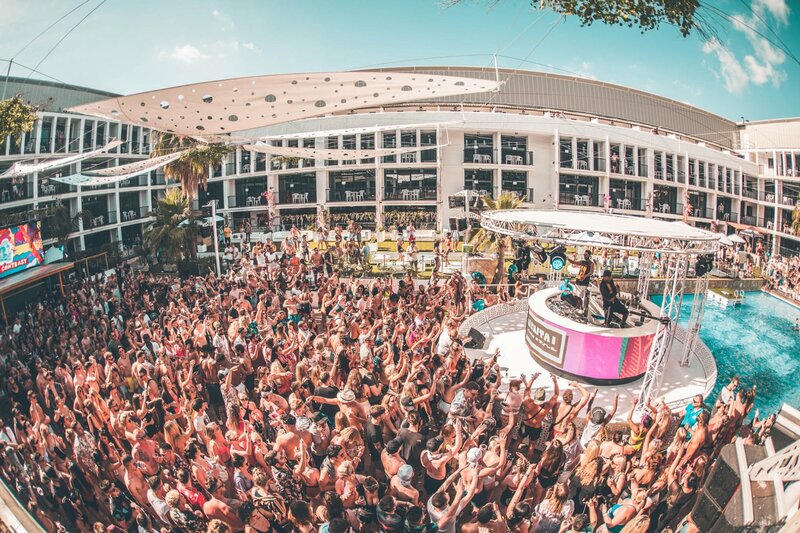 Its TS5 pool parties with Craig David sell out each and every week, as Ibiza Rocks made more forays into the daytime party sphere. The "home of the pool party" programme continues to look juicier than ever. How to get there: It's a 10-minute walk from San Antonio bus station or a €25 cab from Ibiza Town. Prices: Event tickets start from €20 with drinks prices from €7 for a beer and €9 for a spirit and mixer.